The 1500th Tata Safari Storme GS800 is part of the 3192 vehicles that the company is supplying to the Indian Army. 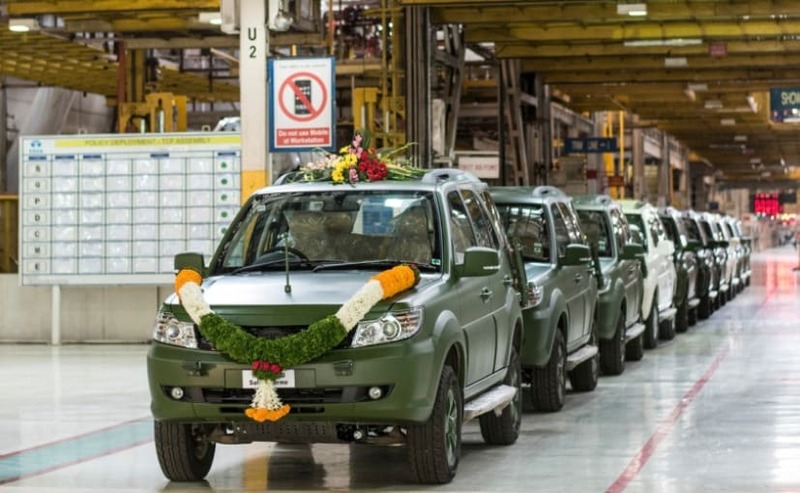 So far, Tata Motors has already delivered over 1300 units of the 4x4 SUVs to the Armed Forces. 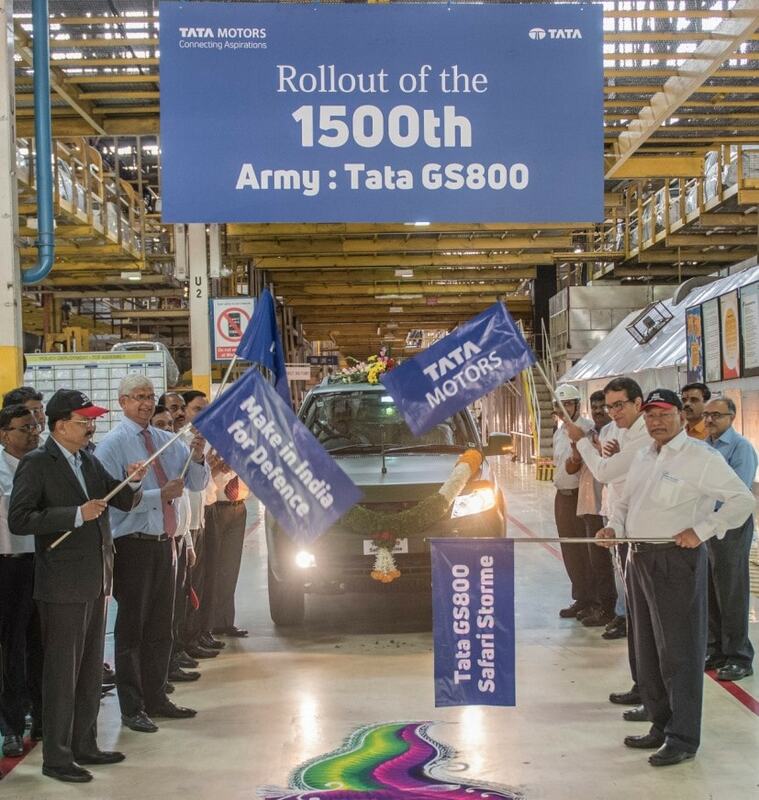 Tata Motors today announced the roll-out of its 1500th GS800 (General Service 800) Safari Storme SUVs specially made for the Indian Armed Forces. 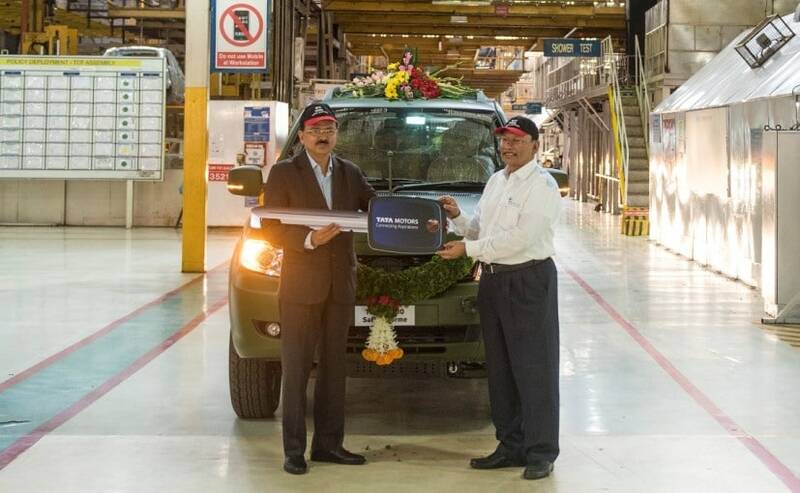 The milestone GS800 Safari Storme was rolled out of the company's manufacturing plant in Pune, Maharashtra, and is part of the 3192 vehicles that the company is supplying to the Indian Army. So far, Tata Motors has already delivered over 1300 units of the 4x4 SUVs, and with the addition of the recent lot, we believe the company will soon complete 50 per cent of its delivery target. Commenting on the successful roll-out of the 1500th Tata GS800 Safari Storme, Vernon Noronha, Vice President, Defence & Government Business, Tata Motors Limited said, "We, at Tata Motors, take immense pride to roll-out the 1500th GS800 Safari Storme of the 3192 order for the Indian Army. This modern SUV - Tata GS800 is specially customized to meet the requirements of the Indian Armed Forces. The continued faith bestowed by the country's security forces in Tata Motors is a reflection of our pedigree & aspiration to serve the nations challenging requirements on the front lines." As for the vehicle itself, the Tata Safari Storme GS800 has been specially designed to meet the requirement of the Indian Army, and it comes with a payload capacity of 800 kg, 60 per cent more than the standard model. Tata Motors claims that the SUV was subjected to extensive testing across different terrains in India, for fifteen months, undergoing both off-road and on-road trials. Tata has also equipped the vehicle with special features such as ABS, recovery hooks, jerry can and fog lamps to suit army requirement during missions. The vehicle's engine specs haven't been announced, but we believe it's the existing 2.2-litre diesel engine, however, the company did mention that the vehicle now offers 70 per cent more power and over 200 per cent of additional torque. Visually, the Safari Storme GS800 comes with the signature matte grille colour used by the India Army, along with a hardtop roof. All the chrome bits from the regular Safari Storme are blacked out or painted green. The headlamps project a horizontal beam of light in order to avoid detection of the SUVs by the enemy forces at night. The cabin, of course, is equipped with bucket seats, mobile charging point, Air Conditioning (AC), heating, demisting, power windows and ample space inside the cabin to accommodate six crew members comfortably.